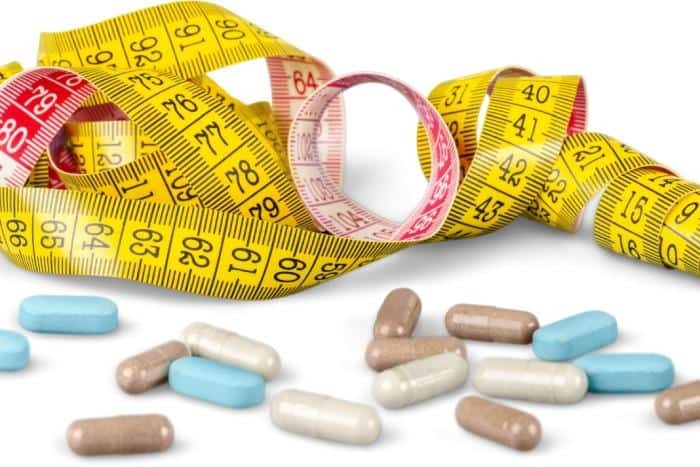 Each day the weight loss industry seems to surprise us with a new supplement, a new weight loss shake, an appetite suppressant or some other fancy weight loss item and all of them come with the claim that they burn fat, increase metabolism and cause super fast weight loss. Some turn out to be a scam; some seem to work but only modest results. So it gets confusing to choose the one that really works! And that is why we thought of reviewing some supplements out there to simplify the task. Today we are going to evaluate PhenELITE on scientific grounds. But before we get to that, the first thing that put me off about PhenELITE was that there is no trace of the manufacturer and no official website. That is the only detail you get and that is enough to convince us to not walk right into the deep waters. But that is not it. As we write this article, this supplement has received 5,350 customer reviews on Amazon with 4,930 positive reviews! Update 2019 – the number of negative reviews has caught up and now the average rating is 3.1/5 on Amazon. Amazing energy enhancers and appetite suppressants minimize food cravings, helping you achieve your goals MUCH faster. So it has been manufactured by an FDA certified laboratory but is not FDA approved. Other things that were kind of fishy while doing a background search on this supplement was that different sources listed different ingredients and it was being confused with other supplements with similar names. Some also claim that the reviews on Amazon are fake. Nevertheless, this supplement has gained a lot of popularity which is why I decided to check out its ingredients. What does science have to say about PhenELITE ingredients? Different websites list different ingredients of PhenELITE. However, we are reviewing those that are mentioned on the bottle label as per the picture is shown on Amazon.com. The name suggests some link with phentermine- an appetite suppressant ( Read How Appetite suppressants actually work?) but there is no such connection. The serving size is mentioned as 2 capsules. Amount of individual ingredients is not mentioned but the blend is said to be 1200mg for 2 capsules. This again raises an alarm. Let’s have a look as to what research has to say about the ingredients present in this supplement. Raspberry ketone is the compound present in raspberries, blackberries, cranberries etc and it imparts the amazing aroma. It has been used in cosmetics and as a flavoring agent in processed foods. But there are no human studies specifically investigating the role of raspberry ketones in obesity. Also, the dosage limit for raspberry ketone could possibly have a safety concern. What does this mean? Raspberry ketone’s anti-obesity action is proven in animal studies and not in humans. Therefore it is not so convincing as a weight loss agent. Irvingia gabonensis is the name of the tree that reaps a fruit similar to a mango. It is also known as African mango, Bush Mango or Wild mango. Its seed is said to contain powerful agents that can cause weight loss. Researchers at the University of Yaounde have proven that novel extract from the seed of African mango causes a weight loss of 5.26% of initial body weight within 4 weeks. Another study by the same university showed that supplementation with 150mg twice daily of African mango extract-IGOB131 led to a weight loss of 10-12 kg in 10 weeks. A review of clinical trials focused on the efficacy of African bush mango extract on obesity states that it cannot be recommended as a weight loss supplement despite of the fact that many clinical trials report positive results, due to poor reporting qualities of the clinical trials. Adverse events such as a headache and sleep difficulty are reported. What does this mean? Clinical trials do provide evidence that african mango extract can help in weight loss. However ingredient list of PhenELITE does not tell us whether the particular seed extract-IGOB131, which is said to cause weight loss, is used in the supplement or not. Acai berries are considered one of the healthiest fruits on the planet and like other berries, they are bubbling with a number of health berries. Animal studies show that acai berry can have positive effects on metabolic features and lipid profiles. However, there is no scientific literature available that states that acai berry consumption or its extract causes weight loss. What does this mean? Acai berries are rich in antioxidants and super food when it comes to health but there is no research as of yet that confirms its role in weight loss. It prevents the development of fat cells and inhibits fat accumulation. It increases fat oxidation (breakdown of fats by oxidation) and thermogenesis (production and utilization of energy from food). Green tea promotes post-meal satiety and suppresses hunger. It modulates obesity related genes. It also regulates the activity of hormones that favour fat deposition. It improves the antioxidant status and reduces cardiovascular risk which helps in weight loss. A review of 15 studies reports that consumption of green tea catechins with caffeine leads to significant reductions in weight, BMI and waist circumference. In contrast, another clinical trial reported that green tea supplementation brings about small changes in weight and does not aid in weight maintenance. In clinical trial green tea shows quick results as they use green tea extract while in real life the change can be slow. What does this mean? Green tea, especially its extract rich in catechins, is very well proven to induce weight loss by research studies and clinical trials. Resveratrol supplements are touted as an anti-aging agent. However, these effects have been proven in animal studies and there are no human studies demonstrating a direct link between weight loss and resveratrol. Resveratrol is indeed a powerful antioxidant but its use as a weight loss agent still needs to be scientifically proven in humans. What does this mean? Resveratrol’s anti-obesity effect has been proven in animal studies and not in humans, therefore its inclusion in weight loss supplements is valid only if its other health benefits are taken into account. Caffeine consumption is found to increase exercise performance and better exercise outcomes translate as better metabolism and fat oxidation. High caffeine intake is associated with low BMI. However, one thing to be kept in mind is that high doses of caffeine can affect the nervous system causing anxiety, nervousness, dizziness and stomach upset. The daily dose limit is 100-200mg of caffeine. What does this mean? Research suggests that caffeine aids in burning fat and prevents fat accumulation. However one can develop a tolerance for caffeine. Also, high doses of caffeine can cause serious side effects. Vinegar finds its way into many savoury items, pickles and salads. Its role in weight loss is validated due to its ability to affect glucose metabolism and reduce fat production. It delays gastric emptying and promotes satiety. The main weight reducing effect is brought about by acetic acid present in vinegar. 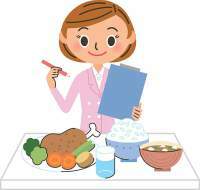 A Japanese study demonstrated that regular intake of vinegar reduces BMI and even visceral or abdominal fat. Apple cider vinegar is the one that has been gaining a lot of popularity as far as weight loss is concerned. It is prepared from apple juice or cider. Animal study shows that apple cider vinegar supplementation inhibits weight gain. It also influences post-meal blood sugar and insulin levels which can indirectly affect appetite. Direct consumption of vinegar can cause dental erosion and nausea. What does this mean? Apple cider vinegar and vinegar in general can aid in weight loss by improving digestion, enhancing satiety and influencing glucose metabolism. Kelp is brown seaweed which is a great source of iodine and is useful for those suffering from thyroid problems. Kelp itself is not proven to help with weight loss but its active constituent fucoxanthin is under study. Animal studies show that fucoxanthin suppresses fat cell development and prevents fat accumulation by influencing genes related to it. A clinical trial reported that a supplement containing fucoxanthin and pomegranate oil brought about a weight loss of 5.5 kg in 16 weeks and also a reduction in waist circumference. Increase in metabolism was also observed. Kelp fiber is also proven to control appetite and aid in weight loss. However PhenELITE does not list whether this supplement contains fucoxanthin or kelp fibre, so you don’t really know if this ingredient is going to help with weight loss. What does this mean? Research proves that fucoxanthin present in kelp and kelp fibre help in weight loss. The ingredient list for PhenELITE only mentions kelp and not whether these ingredients are included. Therefore one cant decide whether this ingredient will help in weight loss. ‘Grapefruit diet’ has been a fad diet in US since 1930s Grapefruit is a hybrid between orange and pomelo. Its active constituents- narinigenin and nootkatone have anti-obesity properties. Half a grapefruit consumed prior to meals is found to improve weight loss outcomes of a low-calorie diet. Grapefruit extracts in the form of a weight loss supplement have proven to be effective in reducing weight and waist circumference. Compounds present in grapefruit can have drug interactions so it is best if you avoid taking other drugs with it. The ingredient list shows that grapefruit (powder) has been included in the formula which could mean that is rich in fiber which promotes satiety. So you don’t exactly know what about grapefruit has been included that could cause weight loss. What does this mean? There is a lot of scientific evidence that proves that grapefruit has anti-obesity properties, especially its bioactive compounds. However these same compounds can have drug interactions, so it is wise to avoid taking other medications while taking supplements containing grapefruit extract. Caffeine present in this supplement could cause some side effects like anxiety and nervousness if present in high amounts. Grapefruit can have drug interactions. Apart from that none of the components have been reported to cause side effects. Some reviewers have mentioned gastrointestinal symptoms such as nausea, vomiting etc. and this has led to discontinuation of use of the product. Presence of some not so significant ingredients like acai berry, raspberry ketone, kelp etc. However, if you are among the bold ones who have tried this supplement despite the number of caveats associated with it, let us know your experience with PhenELITE. Is Suzanne Somers Diet Effective for Weight Loss? Next articleResearch Review: How Helpful Is Hydroxycut For Weight Loss?